After the success of this Mini Exploration last year - I'm running it again! 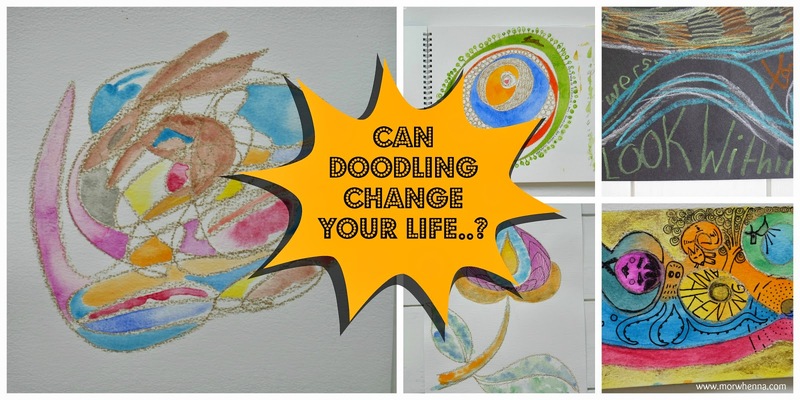 Can Doodling Change You Life? Doodling isn't a dirty word or a waste of time as mounting research shows how beneficial it actually is for us. From helping us to relax and reduce stress to being more focused and retain more information by improving memory. Bet you weren't expecting that were you!? I’d say that’s pretty darn cool and useful – wouldn't you? And even if you aren't a doodler –it’s never too late to start. I've been taking my doodles to the next level and using them specifically to gain insights into challenges I’m facing by using a technique I've created and developed which really gets right to my subconscious mind – totally bypassing my mind chatter. It's helped me on so many levels and I'd now like to share this with you. See it as a tool you can add to your well-being toolkit. I also use it as a form of mediation as it really helps me to totally relax and to relieve pressure. I also find with my doodling technique a story unfolds. I've been using this particular doodling technique for a while now and I guess you could call it Intuitive Doodling. The NEXT Mini Doodleicious Course starts on 01 February. Would love to have you join me! The 14 day in-depth experience and greater personal insights is £18. Your ticket includes a tree planted for you in the Calidonian Forest with the charity Trees for Life. WOW that's very reasonable? How come? I want this to be as accessible to as many people as possible as a tool you can add to your wellbeing toolkit. You also get the added joy of knowing a tree is being planted for you. You'll receive a certificate at the end of the exploration! By signing up I’ll share my personal technique with you and for 14 days you’ll receive a daily prompt sent directly to your inbox. I’ll only run this if a minimum of 25 lovely folks sign up – so do share with your friends and anyone else you think could benefit from taking this mini doodleicious exploration!!! There will also be a private facebook group so you'll have a safe place to share your daily doodles as well as what you learn about yourself and insights as the exploration unfolds. Sound good? Starts 01 FEBRUARY and as the title suggests as these are doodles – they are meant to be done freely and can be as fast or as slow as you would like. Want to discover how doodling can help you? YES I want to go on a mini doodleicious exploration!